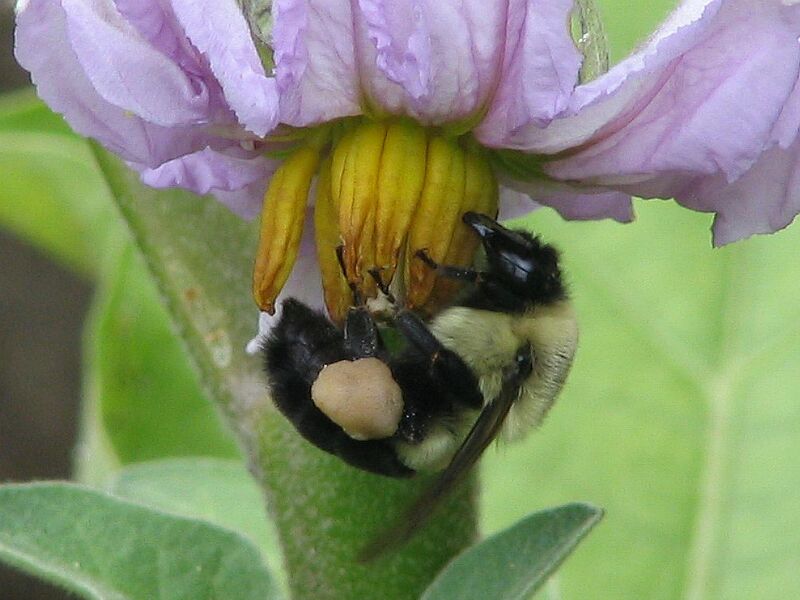 Plight of the Bumble Bee: Volunteers Needed! There can be no local foods, community garden, and green spaces movement in New York City without a healthy bee population, and that’s a resource we could lose. Our first defense is simply to look a little more carefully at our backyards and gardens. Bee Watchers 2008 wants to train you to observe bees with free sessions in all five boroughs: at Alley Pond Environmental Center (May 19, 6PM), Central Park’s North Meadow Recreation Center (May 21, 6PM), the Greenbelt Nature Center (6PM, May 20), Prospect Park Audubon Center (May 21, 6PM), and Ranaqua, the Bronx headquarters of the NYC Department of Parks and Recreation (May 22, 6PM). You’ll also be equipped with five native New York flowering plants and a sunflower. Being a Bee Watcher is fun, but this is also an urgent mission that has the backing of the Greenbelt Native Plant Center, New York City Urban Park Rangers, and the Center for Biodiversity and Conservation at the American Museum of Natural History. “We’ve already lost some species. At least two bumble bee species that used to be quite abundant haven’t been seen in years,” said Elizabeth Johnson, manager of the Metropolitan Biodiversity Program at the American Museum of Natural History. “At this point we’re trying to drum up business for bee watching,” added Kevin Matteson, a Fordham University biologist conducting the program. A third of human food stocks depend directly on the services of pollinators, which include insects, birds, and mammals. In the northeast, we rely on bees most (like the bumblebee pollinating an East Harlem eggplant in the photo by Matteson above – click to enlarge). New York State boasts about 423 species. While 219 species have been spotted living in NYC (54 in East Harlem and the South Bronx alone), nearly a fifth of those aren’t native, according to Matteson. The mysterious population collapse of the honeybee, a species imported from Europe aboard sailing ships, has gotten considerable media attention, and rightfully so. But habitat destruction and exotic diseases could pose a great threat to our indigenous partners in sustaining edible and flowering local plants. “We don’t know a lot about most of our native bees. Where do they live? What kinds of habitat needs do they have? We have a lot to figure out about pollinator service and it would help to know how quickly bees show up at their plants in the Spring, and how often, and then correlate that with surrounding land use,” Johnson explained. The honeybee is an exceptional species not only for its production of the syrupy sweets, but for its large colony combs, which are occupied for years. They even huddle for warmth in winter. Most bees live in less enduring groups, or even in relatively solitary fashion: a queen might never see her offspring, laying eggs and sealing them off with provisions before moving on. Many burrow underground or bore into wood, crawl into hollow twigs, or even take over abandoned mouse holes. Development often wipes out bee food sources like wildflowers or even invasive flowers. Paving also eliminates burrowing species from an area. Your community garden or backyard is an oasis in the asphalt desert, but you might see fewer flowers, fruits, and vegetables because a building has gone up on what was a weed-strewn lot a block or two away. A green roof with plants that support bees and butterflies might compensate for that loss, but you won’t get it unless you’re armed with data supporting your case. For the sake of your community’s green spaces, join Bee Watchers 2008 by calling Kevin Matteson at 646-3730250 or emailing him at kevmatteson (at) gmail.com.